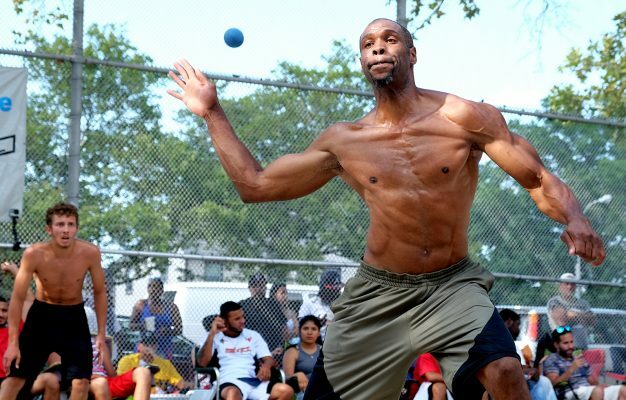 The King of Courts Tournament was held this year on a 98F day in a park off the Grand Central Parkway in Jamaica Queens. Handball is played all over the city, old and young battle in dusty parks every day. It’s a real street game, all you need is a ball and a wall. I documented this year’s tournament for Jocks & Nerds. This entry was posted on Thursday, October 27th, 2016 at 11:05 pm	and is filed under Portraits. You can follow any responses to this entry through the RSS 2.0 feed. You can leave a response, or trackback from your own site.